The men's SWAT team costume includes the utility vest, fingerless gloves and knee pads. The rugged utility vest features pockets, buckles and a SWAT logo on the front and back. 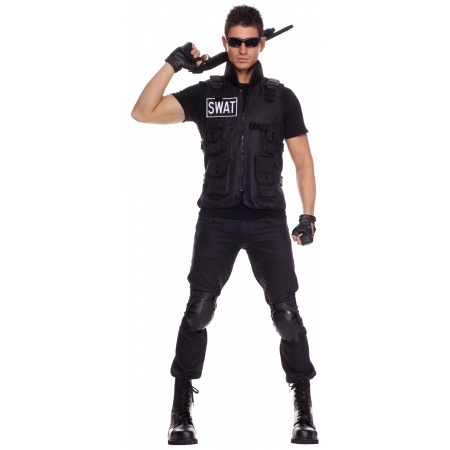 This SWAT team costume comes in adult size One Size. 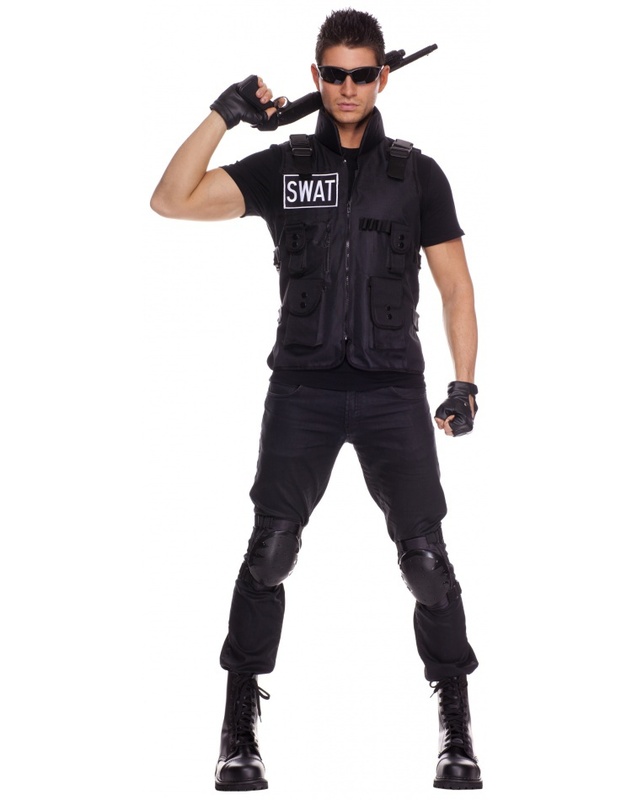 Black t-shirt, pants and boots are not included with the SWAT Halloween costume for men.